The user-friendly Solarscope lets users safely view the light of the sun. 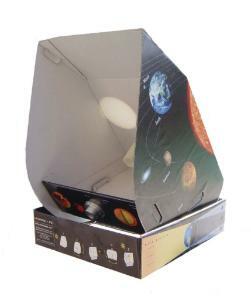 Students can observe solar sun spots, planet transits, and eclipses of the moon with this instrument. Using the Solarscope, students can also calculate earth's rotation speed, earth's orbit ellipticity, the sun’s rotation speed, and more. The telescope is easy to align and manipulate, and it includes a user’s guide and teacher’s workbook.